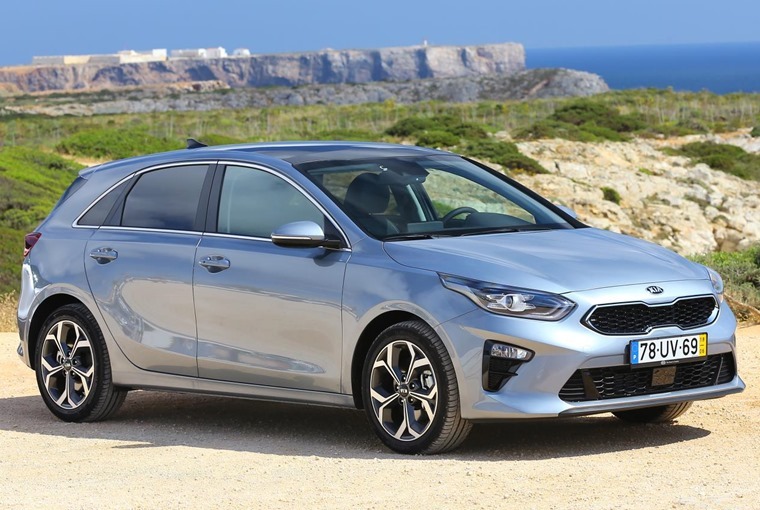 Kia's new Ceed is sensible, practical and easy to use, yet there’s now an assured style and driving feel to rival the best in class. 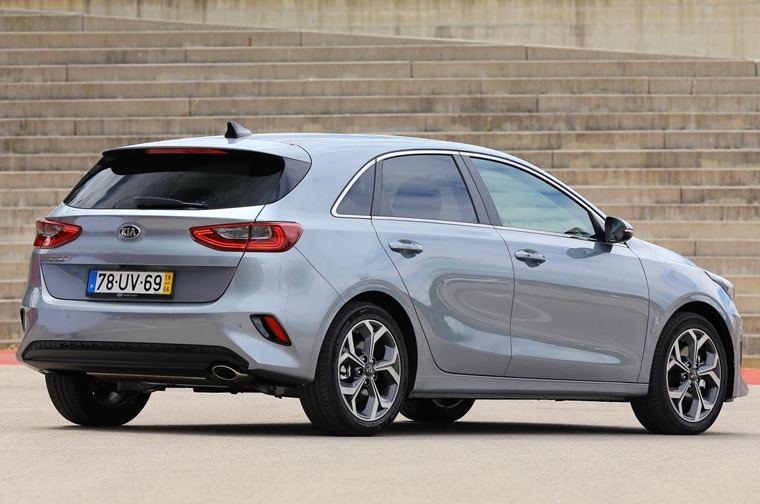 The Kia Ceed has come of age, and we don’t just mean the Korean firm dropping the apostrophe from its small hatch’s name. With this latest third generation, the Ceed has matured into an impressively well rounded and able family car that’s more than capable of tempting drivers away from established top tier competitors such as the Ford Focus and Volkswagen Golf. That’s a big, bold claim, but it’s also one more than backed up by our time with the new Ceed. A lot of engineering work has gone into making this a reality and Kia has pared the weight of the bare bodyshell down by 23kg. Much of that is then put back on the scales with additional standard safety kit and all new Ceeds now come with Lane Keeping Assist with Forward Collision-Avoidance Assist, Driver Attention Warning and High Beam Assist. Refinement at all speeds and on every type of road is superb. While making the shell lighter, Kia has also made it stiffer to help the car’s crash worthiness and how it drives. A rigid structure means the suspension is better isolated to get on with its job unhindered and there are fewer shocks and noises transmitted from the road to the cabin. This is one of the areas where the new Ceed puts itself right into the mix with the best in class as its refinement at all speeds and on every type of road is superb. Just as satisfying is the way the Ceed does this without compromising its ability to deal with corners in a confident manner. 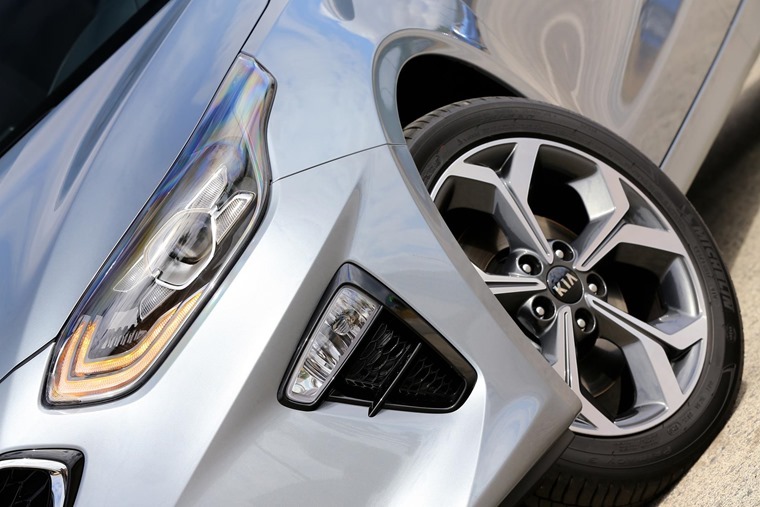 The front springs are now 40% stiffer than the car’s it replaces, yet this doesn’t cause any unwanted pitter-patter as you pass over undulating surfaces. GT models will offer a more sporting choice with 200hp. Nor does it cause the front wheels to run wide when the bend tightens up unexpectedly. What you get is plenty of reassuring grip into, through and out of curves with reasonable feel at the steering wheel. 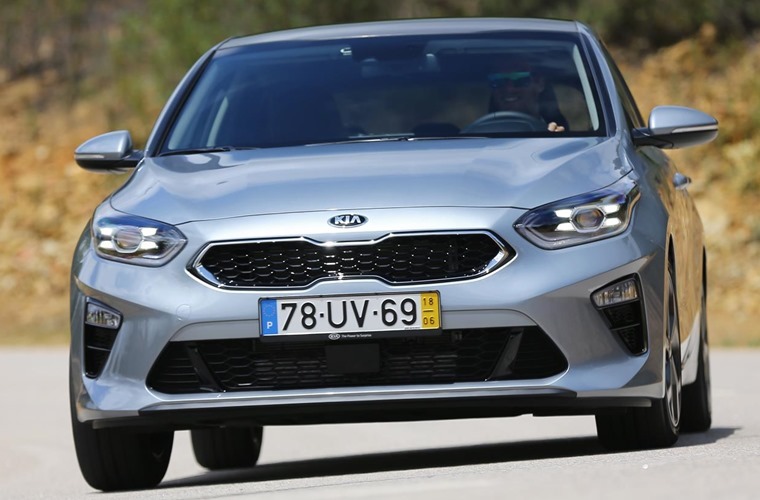 It’s not quite as precise in the sensation department as the Ford Focus, but Kia has given the Ceed more steering feedback in the straight-ahead. Also, just as you make that initial turn into a corner to give the driver a greater sense of what’s happening as the rack is now 17% more direct. This isn’t to say the Ceed is now a hot hatch wannabe – the GT model will offer a more sporting choice with 200hp but not the 250hp 1.6-litre turbo from its Hyundai i30N relative. What you can do to make the Ceed even more engaging to drive is opt for 17-inch alloy wheels with Michelin Sport tyres. More relevant to the majority of those considering a Ceed will be the economy and emissions on offer from its engine line-up. The most popular motor is set to be the new ‘Kappa’ 1.4-litre T-GDI turbo petrol that comes with 140hp and is a direct replacement for the previous 1.6-litre unit. It has 242Nm of torque as well, so it pulls cleanly and crisply from just over tick-over all the way to the red line. In the lower and medium sweep of the rev counter, it feels purposefully brick and you have a choice of six-speed manual or seven-speed dual-clutch automatic gearboxes. Both are easy to live with, so it’s down to personal taste here, but it’s worth mentioning the auto offers nippier performance allied to 51.2mpg and 125g/km CO2 output where the manual musters 50.3mpg and 128g/km. There’s also a 1.0-litre T-GDI petrol that gives a good account of itself and has a typically enjoyable three-cylinder hum to its operation. Economy comes in at 52.2mpg and 122g/km, so it’s a credible rival to choosing a diesel for company car drivers. Business users will be drawn to the pair of turbodiesel, though, thanks to their spread of power and easy driving manners. The 115hp version serves up a best of 74.2mpg and 99g/km with the manual gearbox, while the 136hp unit provides 104g/km and 70.5mpg with the same transmission. The cabin is a fine place to while away any journey. From our time with the Ceed, we’d lean towards the 1.4-litre petrol as the best all-round choice unless you really need the lower emissions of the diesel to lessen the blow of company car tax. If you drive in town mostly, the 1.0-litre is fine but misses that extra bit of welly when you want to overtake. Regardless of which engine you prefer, the third generation Ceed cabin is a fine place to while away any journey. Compare it to a VW Golf’s and the Kia stands up without a problem and even exceeds the German in some areas. A full digital dash display will be an option in the near future, but we’re rather keen on the clear-cut design of the existing instruments. They’re typically well laid out and easy to read, while the infotainment screen is far better to use than most others. Kia has freed up more front headroom by lowering the seats and there’s also 20mm more width for greater elbow room. In the back, the bench now sits 16mm lower, but the roofline has been dropped by 23mm, so it can feel a little hemmed in back here for adults. It’s cramped, too, for anyone riding in the centre seat. A Shooting Brake model aimed more at those concerned with style. However, Kia has made the most of the luggage space by offering 395-litres of cargo capacity to make it one of the biggest in the class. Drop the 40-20-40 split and tip bench and you can free up to 1291-litres. 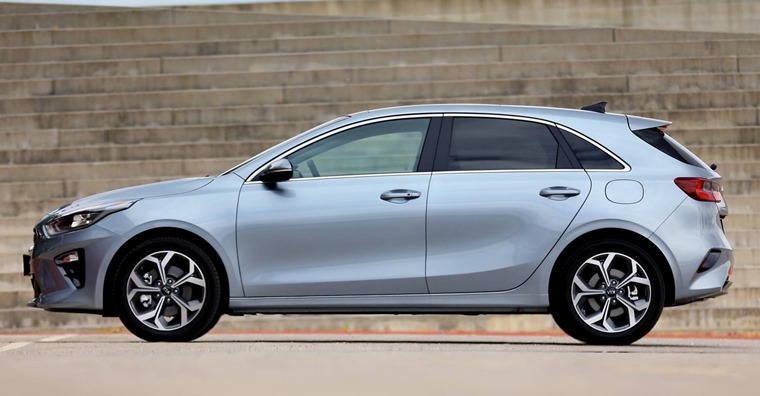 There’s also a Ceed estate with even more room and there will also be a Shooting Brake model aimed more at those concerned with style than load haulage. In each, the rear sill is set closer to the ground than most rivals to put less strain on your back. You can also tick the option for a hands-free boot opening where you just stand behind the car for six seconds with the keys in your pocket, so no ned to fumble a foot under the bumper. 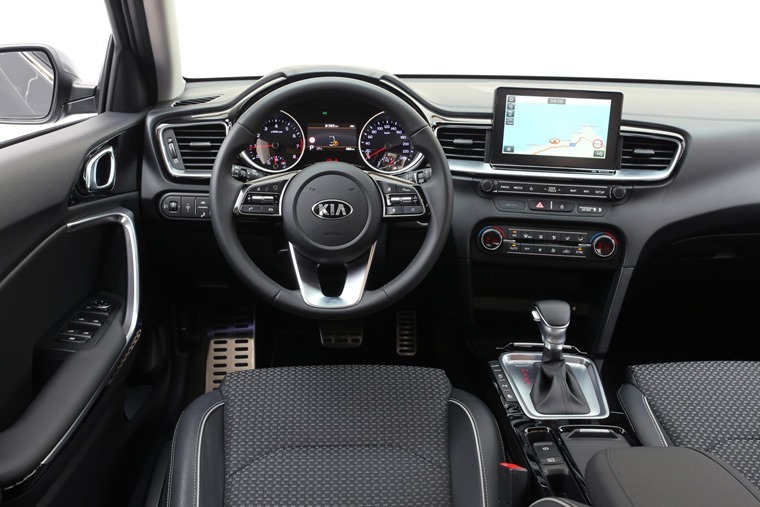 All of that sums up Kia’s work with this new Ceed. It’s sensible, practical and easy to use, yet there’s now an assured style and driving feel to the car that elevates it alongside the very best in class. Not the most interesting to look at, but gets the same sharp tiger nose grille and swooping headlights as the Stinger. Beautifully put together, with materials and the overall finish exuding Golf-like levels of quality. Lighter bodyshell and updated suspension makes the Ceed a refined and relatively engaging drive. Wide range of torquey engines. 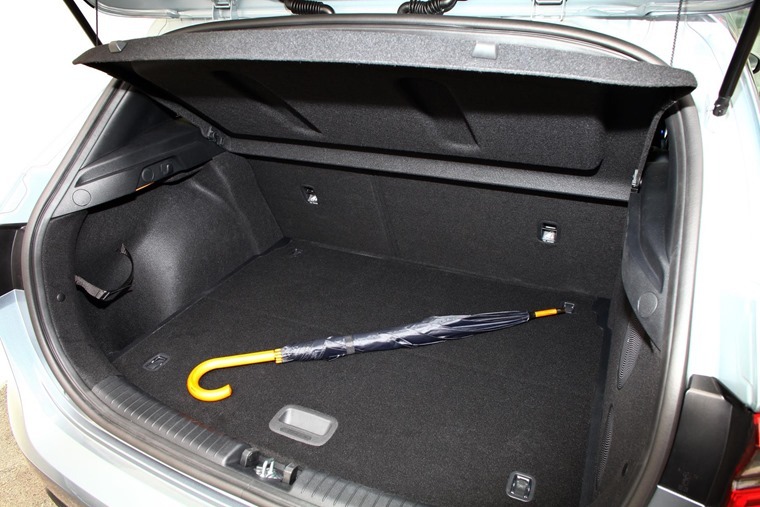 395 litres of boot space means it has key rivals outgunned in the luggage capacity stakes. Estate version available for those that need it. Highly efficient diesels capable of 70mpg+ for business users, while even the 1.0 petrol tested here can muster 52mpg.